Services provided by the health clinic promote preventative health care and foster compliance with the objective and aims of the Center for Disease Control and The American College Health Association. 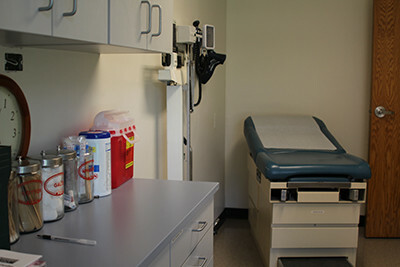 Our health clinic is a fully equipped medical office, which includes two exam rooms, medication dispensary and a diagnostic lab. Flexible scheduling, same day and walk-in appointments are available. University of Detroit Mercy does not endorse these emergency care centers but lists them only as a service. Please review your insurance policy in regards to deductibles that may apply. Inpatient Psychiatric Services — Tuesday & Thursday 6:30 p.m.-8 p.m., Saturday, Sunday and Holidays 1 p.m. to 3 p.m. If Wellness Center is closed and your problem can not wait until we reopen, you may want to go to a local urgent care center. University of Detroit Mercy does not endorse these Urgent Care Centers but lists them only as a service. We recommend that you contact your insurance company prior to visiting an Urgent Care Center to verify coverage of the service you are seeking, as well as any copays or deductibles. Confirming this information in advance will help you avoid unforeseen charges. To verify if your insurance is accepted: Call the member service information phone number on the back of your insurance card. Inform your insurance company that you’re planning to visit and Urgent Care Center in your area. Call the member service information phone number on the back of your insurance card. Inform your insurance company that you’re planning to visit an Urgent Care Center in your area.